This is a wholesale lot of 1 case - 48 bubble guns. Also available individually here. 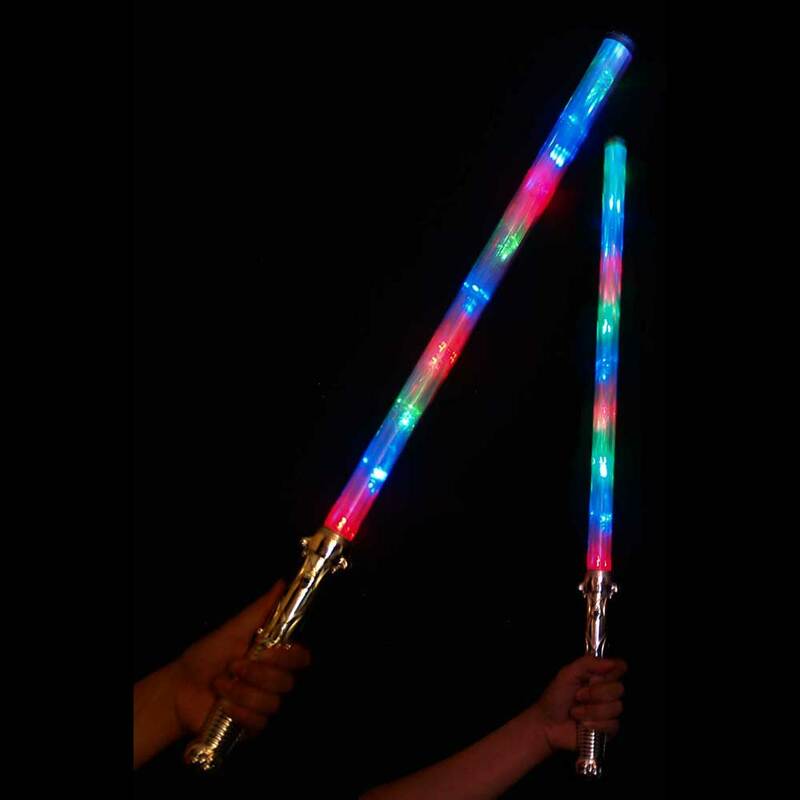 This has been one of the hottest sellers at events! 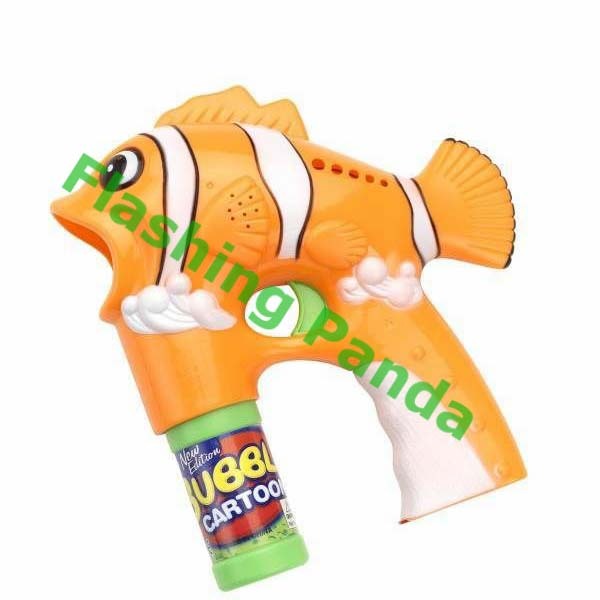 A toy clown fish (Nemo) shaped gun that shoots bubbles and flashes bright at night with multi-color LED lights. Just screw in the bubble solution bottle and enjoy hours of fun. 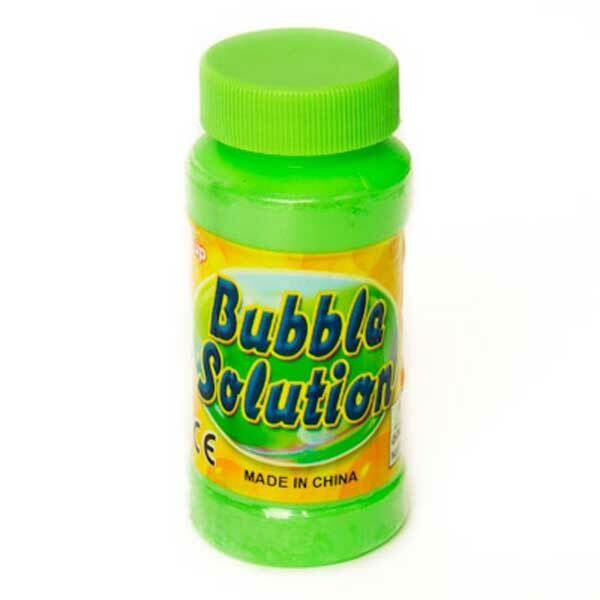 Bubble solution can be easily refilled, and the batteries are easily replaceable. 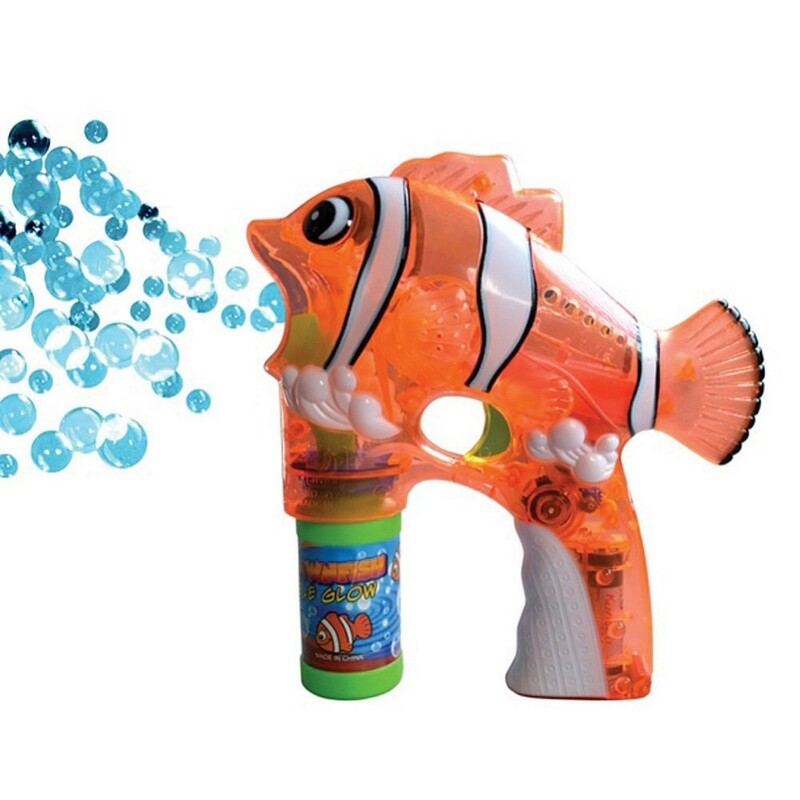 Blast off into the deep ocean with this adorable clown fish bubble gun. 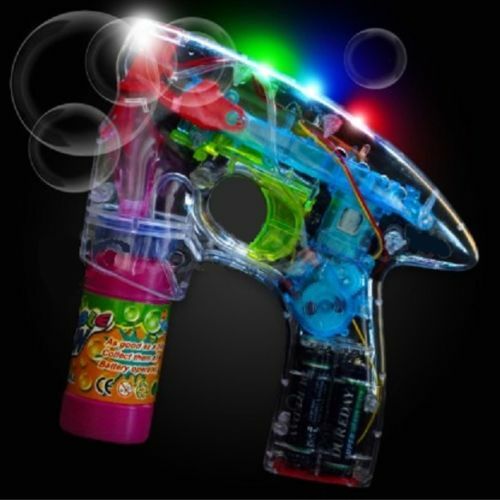 Light Up Bubble Guns are an incredibly fun, day or night. 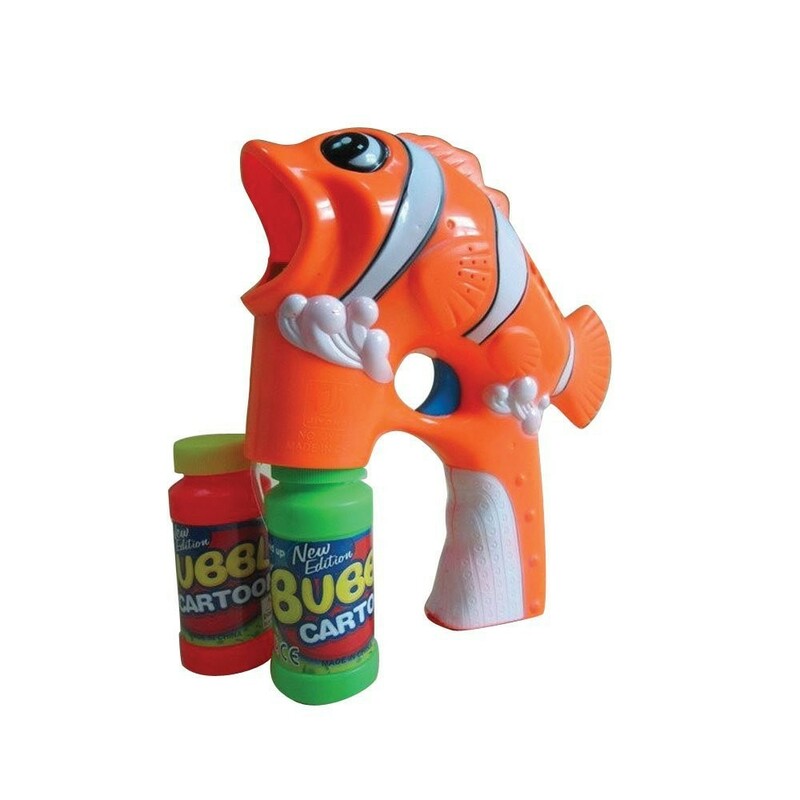 The clown fish will glow and emit a bright red, green, and blue light when you pull the trigger.